Why does Kevin Pietersen divide public opinion amongst cricket lovers in England more than any other player since - well maybe Tony Greig? The answer, to some extent, is in the question. Like Greig KP is of course South African through and through and he is imbued with pure South African values dinned into him by his upbringing. But KP is different from Greig and from all the other Southern Africans who have played a lot of Test cricket for England (Basil D’Oliveira, Graeme Hick, Robin Smith, Allan Lamb). KP is the first Afrikaner to play cricket for England and as such he has more in common with Hanse Cronje, Alan Donald or Kepler Wessels than he has with Dolly or Greig or Lamb. But KP has an English mother you might say and indeed it is true that like one of his predecessors as England Captain, Nasser Hussain, KP is of mixed race (his mother came from Kent and moved to South Africa at the age of 18). But whereas Nasser grew up not in his father's Madras but in his mother's Essex (and from an early age he was culturally and emotionally English) KP grew up in Pietermaritzburg. Pietermaritzburg is deep in the heart of Voortrekker country, and whilst there may have been a touch of Englishness at home, at school and elsewhere KP grew up in the land of the Boer. Afrikaner attitudes and mores are fundamentally different from those of English South Africans and a step again removed from those of the England of the shires and Lord's and the ECB. So although KP speaks colloquially native-sounding English it is wasn't really always his first language for the first twenty years of his life. And although he wears a three lions tattoo on his arm deep down Pietersen is motivated by the ambition, the drive and the self-confidence of his Afrikaner roots and these are qualities that are all too often dismissed as arrogance by us Poms. 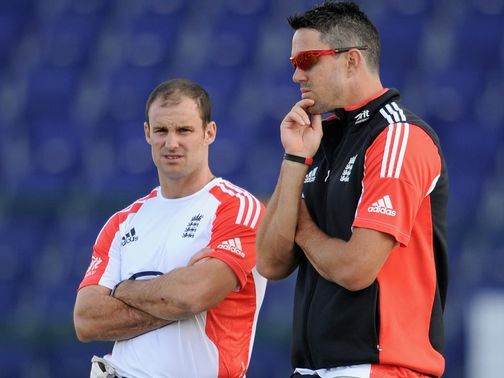 If we are prepared to tolerate a selection policy which allows those with only quite tenuous English connections to play for our country then from time to time there will be a Kevin Pietersen. The cricket P&L for KP is, in my opinion, hugely in credit. I also like him – as Geoff Boycott once said he “is cocky and confident. I love it”. But must we always judge him by the conventions of the English middle class, under which Andrew Strauss is the archetypical “Goody” and KP the villain? Lets hope not. “When I am old” wrote Jenny Joseph in her wonderful poem about ageing “I shall wear purple” and that has a resonance I’m sure to anyone of more mature years! The whole point of the poem, of course, is that purple except in small doses is a pretty awful colour. “Everything changes when a man becomes purple” said Charlie McDonnell. Which brings us to the heathen tradition of England rugby. Rugby at the very top is quite a closed world. There are 6 Nations in the Northern Hemisphere and four in the Southern who play the game at the highest level. Admittedly from time to time upsets occur (like Samoa’s amazing defeat of Wales at the Millennium Stadium). But really we are in a closed world where the “Perm any 4 from 10” to find the semi-finalists in a Rugby World Cup applies. In that world there are enormous distinctions between the teams. The six home nations are utterly and historically different from one another – as are the four big beasts in the South – Australia, New Zealand, South Africa and Argentina. It makes for engaging and unmissible watching whenever the big beasts are paired against one another. Symbolism plays a huge part in sport and not least in the world of elite International Rugby. Each one of the tem big players has pride – a pride that is, or should be, manifested in its brand. Towering above all are the All Blacks whose very name shows that the brand and its associated visual symbols is crucial. Similarly the Welsh team struts its stuff in Red and its only concession to the dilution of this imagery is that it allows the British Lions to do the same. Wales and the Lions in red Shirts. The Kiwis in Black shirts and shorts. The Aussies in Green and Gold – that’s how it is. The mirror image of New Zealand in their black gear is England in its white. Although England is not called the “All Whites” that is what we are. When Jonny Wilkinson kicked that dropped goal to win the World Cup back in 2003 he and the rest of the team were in All White kit. Of course they were. And there is NEVER any reason for England Rugby NOT to wear White. There is never any colour clash with the other members of the top Ten Rugby Nations. Never. So what the hell was England doing in purple shirts at Twickenham on November 17th? And why did the numskulls who managed that call not see that the psychological ground was conceded to the proudly Green and Gold Aussies before even the first whistle blew? Ask yourself whether it is conceivable that the New Zealand Rugby Union would send the All Blacks out in purple shirts to face the Aussies in Auckland. Don’t duck the question please is it conceivable? Answer. NO! So if it is inconceivable that New Zealand would surrender their traditional and unique colour for a key match at home why would England do it? D'oh! The referee, with contempt just about absent from his voice, referred to England as “Pink” at Twickenham. Perhaps M. Poite is a tad colour-blind. But surely the absurdity of an England Rugby team prancing around the park in purple contributed somewhat to their downfall. Where is the pride in purple? Where is the logic and the crowd-pleasing resonance? Dear RFU. Look deeply at the grotesque calumny that you have committed. And sack the marketing twerps you led you down the purple path. And let’s get England in all-white kit again next week against the Boks!! I have been a Tottenham Hotspur supporter all my life as my Grandfather was before me. I am not from a Jewish family but the Jewish support tradition of Spurs is something I welcome and enjoy. Jewish humour is very funny and it is quite common to be at White Hart Lane and to be exposed to it. And you don’t have to be Jewish to enjoy the jokes. The history of anti-Semitism in British society is a disgraceful story but thankfully it has now faded - if not quite disappeared completely. Opposing fans at the Lane used to mock Spurs supporters by calling them “Yids” – a rather nasty term of abuse. It has been typical of the Spurs fans to handle this not with anger but with pride and to adopt the term “Yid” as a badge of distinction rather than a racist epithet. You disarm your opponents by adopting their descriptor and throwing it back in their faces. That is what the “Yid Army” does – it is the reverse of racism, it is saying that racism is absurd and well as disgusting and to reveal that absurdity we will call ourselves by the terms you use. I doubt that the The Society of Black Lawyers, who hit out at Tottenham and the Football Association and threatened to go to the police over what it regards as anti-Semitic chanting at White Hart Lane, understands this at all. If they did surely they would see that it is a powerful weapon to attack racists by ridiculing them. That’s what Spurs supporters do when they chant “Yid Army”. The Society should be congratulating Spurs fans not criticising them! Amongst all the column inches of guff about the visit by some members of the England football squad to the Auschwitz-Birkenau Memorial there is only one argument for the visit which stacks up at all. That is that by going, and having their visit so extensively covered in the media, Wayne Rooney and the others, as role models, will draw attention to the Holocaust among young people who would otherwise be unaware of it. If this is true then it says more about our education system than it does about anything else – surely no child should complete their education without being made fully cognisant of the horrors of Hitler’s final solution? But this aside the visit was a grotesque and offensive charade. I have written before about the use by sports teams of collective visits to memorial sites for team building purposes. It was started by the Australian cricketers at Gallipoli and has now become almost a norm when teams are within reach of a site commemorating one horror or another. The Football Association inspired visit to Auschwitz took this to a new level of grotesqueness. That they organised a team visit to the site was bad enough but that they invited the media and photographers along was shameful. But it worked - and even The Guardian featured a photograph of players passing under the infamous Arbeit Macht Frei arch. This was a vulgar and tasteless Public Relations exercise – let there be no mistake about it. Footballers in general and the England team (or some members of it) in particular has a problem with its image. These obscenely wealthy young men reside all too often in the outer fringes of respectability. Their money can and does buy them anything they want – Girls and Glamour, Bentleys and Booze - and the rest. This was an attempt to apply a respectable veneer over the dysfunctionality of some members of the England team. 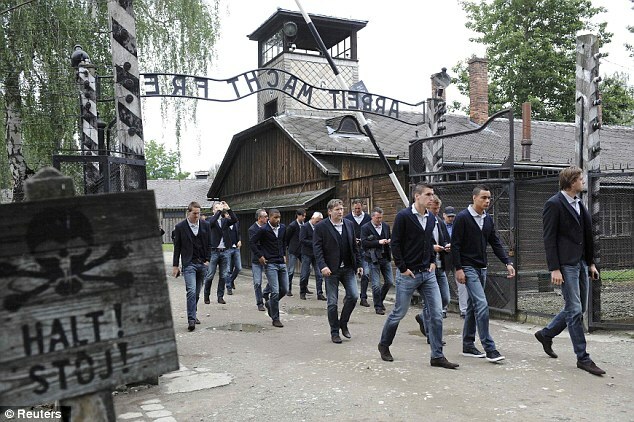 If the FA and its complicit team Manager Roy Hodgson had quietly suggested that individual players might like to visit Auschwitz privately, and indeed if they had without publicity facilitated the visit, then maybe it would have been acceptable. But that was not what happened. This was a visit played out in the glare of publicity with the media present in significant numbers – and the coverage they got will have no doubt have delighted the FA’s apparatchiks. The members of the media were duped - and they all need to think hard about why it happened. If we live in a society where the only way to make our young people aware of history is to provide the stimulus of a “Celeb” team visit to a memorial site then we need seriously to look at how we do things. This was an example not of a country at ease with itself but of one with offensively skewed priorities. Thank you for your email to Peter Voser, regarding the Bahrain Grand Prix. I have been asked me to reply on his behalf. Shell is fully committed to Human Rights and to abiding by our own values and principles as described in the Code of Conduct and Shell Global Business Principles. The decision to race in Bahrain was the responsibility of the Formula One governing body along with the local organisers. We aim to conduct our activities in a manner that respects Human Rights as set out in the UN Universal Declaration of Human Rights and the core conventions of the International Labour Organisation. We respect the Human Rights of employees and support fundamental Human Rights in line with the legitimate role of business and John Ruggie’s “Guiding Principles on Business and Human Rights”. Shell provides fuels, lubricants and technical support to Ferrari at all Formula One races and therefore our trackside analysts did attend the race in Bahrain to work alongside the Ferrari team in the normal manner. Shell did not have a guest hospitality programme in Bahrain, although this is not unusual as Shell runs such programmes at some races and not at others. Likewise there was no Shell branded track signage, as the Bahrain race is not part of our circuit advertising schedule. The issues that the MCC has faced surrounding The Vision / Master Plan are the most consequential the Club has faced for a very long time. The surrounding controversy is not, as the President said in his radio interview with Jonathan Agnew on 28th March 2012, ‘much ado about nothing’. The concerns around the development of Lord’s are real and deep-seated. Much is at stake; there is a very great deal to be gained and a great deal to be lost. To date, what has been gained is negligible. What has been lost – money, time and reputation – is significant. As rank and file MCC Members, we have received from the Club a range of explanatory letters and statements, listened to radio interviews and read articles in the press – which, rather than offering clarity and re-assurance, have served to contradict, obfuscate and raise alarm. Our concern is compounded by the Resolution the Committee is asking Members to support at the imminent AGM on 2 May, namely: “That Members ratify the decision of the M.C.C. Committee not to permit any residential development on the leasehold land at the Nursery End of the Ground”. The Resolution is wrong on every count. To allow it to pass through unopposed would be equally wrong. You are aware that we have sought, as individuals and collectively, to raise our concerns in meetings and through communications with you, the President and the Acting Chief Executive. We have consistently called both for an independent enquiry and for the Resolution to be withdrawn – but these requests have been rejected, whilst our many questions have gone largely unanswered. 1. The President has publicly acknowledged the flawed process behind the Committee's decision-making and is, he has said, ad idem with Sir John Major on this matter. No decisions concluded on the back of a flawed process, seemingly driven by wanting to achieve a pre-determined outcome, should be allowed to stand - let alone expect to be ratified. c) the Club’s having no need of £100m, President’s letter 2 April 2012. Never has there been a suggestion that decisions were rooted in a clear principle not to permit residential development on the leasehold land. We sense that policy is being made on the hoof. 3. A Resolution seeking ratification of a decision not to progress the particular scheme involving four high-rise blocks of flats, albeit a scheme drawn to the Committee’s specifications and approved by it, would be more understandable. We include ourselves amongst Members with reservations on aesthetic grounds about such a proposal. The ratification of a decision not to countenance residential development of any nature on leasehold land is altogether a different matter. 4. The Committee’s aiming to pass a Resolution that will be determined inevitably in its favour by postal voting without offering a credible counter-argument is undemocratic and morally questionable. In failing to ask open questions and to provide full, complete information on which informed opinion could be based, the Committee seems both unconcerned about learning what Members really think and driven by wanting to achieve a further pre-determined outcome. h) a clear explanation of ‘a number of conditions, including a satisfactory planning consent’ that were attached to Almacantar’s ‘revised offer’. 6. It is unacceptable that £3m should have been spent on the project to date, a sum which, discounting what might yet be paid to Alamcantar and to RLP, is conservatively estimated. In his letter of 13 February, the President stated that this money had not been wasted, yet elsewhere he has acknowledged that it has been. It is surprising that a Committee which authorised this expenditure believes it has sufficient credibility to expect its decisions to be ratified. e) preserving freehold land and the space that this affords in an already congested ground. e) it should deliver an excellent financial return to the Club, as endorsed by independent evaluators. 9. We understand that Minutes of the Main Committee and Estates Committee would confirm that these benefits were understood as long ago as 2004 when the desirability of pursuing residential development on leasehold land ahead of freehold land was also recognised. As plans for the Vision / Master Plan were developed and reviewed by the Committee and shared with the Membership, it seemed clear the Committee was fully committed to undertaking residential development on leasehold land in order to secure funds with which to undertake cricket-led development. This commitment is evident from the Committee’s applying funds to the plan and in allowing third parties to do the same. The Resolution amounts to an inexplicable volte face. 10. Christopher Martin-Jenkins’ view of events in February 2011 when the first Development Committee was disbanded, as reported in serialised extracts of his autobiography in The Times on 11 April, is one you have said is an accurate reflection of matters. It is clear from the serialised extracts that plans to develop on leasehold land had become embroiled in issues around personalities. You have expressed the view that the Vision / Master Plan in its entirety was impractical and that the financials had not been thought through fully. Despite these very legitimate concerns, there palpably remained a very strong case for pursuing residential development on the leasehold land, whilst simultaneously addressing the concerns. What seemingly ensued as a consequence of issues becoming personalised is outright polarisation, a straight choice between the Vision / Master Plan in entirety or nothing at all. That matters were not managed to allow plans to be further refined so that the Club could secure all of the benefits whilst countering legitimate concerns was a mistake. This led to a straight choice between "Will we?" or "Won't we?" rather than consideration of "What?" and "How?" 11. One of our number, a former Vice-Chairman of KPMG, has written to you separately, questioning the President’s reference in his letter of 2 April to "a balance sheet which is already strong". He has expressed his concerns that the balance sheet is much less strong than the President supposes and, like all of us, he is unclear how the Platinum Package will generate the means by which to enable the Club to undertake development. He has suggested that the Committee and Trustees should be very sure indeed that the Club's future financial position will be secure before rejecting an offer of £100m with ‘no strings attached’. c) it is disingenuous in the extreme and is involving Members in ‘game-playing’ of a dubious nature. We are convinced that the proposed Resolution is wrong and that all development options should be kept fully open. We assume that postal votes will have already ensured that the Resolution will be passed. That said, the purpose of this Open Letter is to reach Members who have yet to vote, especially those that will attend the AGM, so they can arrive at a more balanced understanding. 1. Given that a full, fair and open debate is essential at the AGM and that the President is a committed proponent of the Resolution, it seems inappropriate for him to chair discussion lest impartiality were to risk inhibiting discussion. We ask that Item 7 of the AGM be chaired by someone more detached and that it is moved up the Agenda to ensure appropriate time is given. 2. We wish the Committee to recognise that support for the Resolution - and for those proposing it - will be more fairly reflected through votes cast only after full, fair and open debate at the AGM. In the light of this, we ask the Committee to accept that, in the event that the majority of those attending the AGM vote against it, the Resolution does not meet with broad approval and that, by inference, the Committee does not retain the confidence of Members with regard to its handling of the Vision/ Master Plan. 3. It is reported that Almacantar has given notice of its intention to pursue the Club through the courts to recover costs. We assume that RLP will do likewise at some stage. Both you and the Treasurer have confirmed your expectation that no payments will be made either to Almacantar or to RLP - and that there will be no further costs to be met. In the event of any further costs materialising, we ask the Committee to accept that it will have failed the Membership to the point whereby those responsible for such excessive expenditure should be held openly to account. that you should consider your position as Chairman and agree to stand aside. We also consider it reasonable that every Committee member involved in decisions in 2011 and in 2012 should examine their consciences and consider whether they have properly promoted the Club’s best interests and that, if they were to conclude that they have not done this to the best of their ability, they should also consider their positions. The concerns raised in this letter should never be allowed to detract from the very positive contributions you and other members of the Committee have made to the Club in very many ways outside of this issue – always unpaid, often unnoticed and invariably unthanked. However, we believe that too many mistakes have been made with regard to this particular issue to warrant our retaining faith in the Committee and its leadership. We believe that in challenging the Resolution, we are acting exclusively in the best interests of the Club. We have no personal agendas and there is nothing personal whatsoever within our views. Depending on how you respond to the specific requests outlined above, depending on the outcome of voting at the AGM and what we sense to be the general mood of the Membership, we will consider calling on our fellow Members to request a Special General Meeting to demand a full and independent enquiry into proceedings and to seek the reversal of the Resolution if it were passed. Way back in 1968 Peter Hain coined the phrase "You cannot play normal sport in an abnormal country". He was talking about Apartheid South Africa - but the principle he was articulating then still gets to the heart of the issue of Sport and Politics today. The thing about sport is that if is essentially trivial and ephemeral. To the sports fan, at the time, it seems anything but this of course. We care greatly that our team wins and the more important the match the more we care. But in time, often within a few days, every fan moves on. Any team is only as good, or bad, as it's last game and no event is so important that the basic principles of Human Rights, justice and decency don't apply. When the football match between Tottenham Hotspur and Bolton Wanderers was abandoned after one of the Bolton players was taken seriously ill nobody thought the decision was wrong - there was absolute unanimity that it was the right thing to do. True it was an important event but it was only a sporting fixture and it would have been tasteless to continue. Which brings us to the Bahrain Grand Prix. "The Human Rights crisis in Bahrain is not over. Despite the authorities’ claims to the contrary, state violence against those who oppose the Al Khalifa family rule continues, and in practice, not much has changed in the country since the brutal crackdown on anti-government protesters in February and March 2011." Many modern-day Formula one Grands Prix are held in Nations where the normal rules of commercial logic do not apply. They are essentially exercises in country promotion and funded from bottomless bags of oil money or other central resources. The benefits in respect of national identity are seen to outweigh the considerable costs. Malaysia, China, Abu Dhabi, India, Singapore, Korea and of course Bahrain hold Grands Prix even though the local population shows little interest in them and spectator attendances at the events are often pitifully low. These Grands Prix are elitist and arguably harmless indulgences by rich men who can afford the considerable costs. But when they take place in Countries like the UAE, China, Malaysia and Bahrain which have poor or appalling Human Rights records then it is legitimate to ask questions. For the FIA (Federation Internationale de L’Automobile) the organisers of Formula one Grand Prix the politics and Human Rights record of the country in which an event is held is of no interest. They are only concerned about the commercial and safety/security aspects of an event. Last year there was no F1 Grand Prix in Bahrain not because it would have been a moral affront to go ahead - but because it was deemed not safe to do so. And the decision to go ahead with the Bahrain Grand Prix this year was based solely on an assessment that it was safe to do so. The fact that going ahead in the light of the Amnesty report (and other recent happenings in the Kingdom) would cause offence was not the FIA's concern. It has emerged today that Jeremy Hunt, Minister for Sport and Culture, has secured agreement from the Prime Minister and Cabinet colleagues to legislate to combine the administration of England’s three main team sports, Football, Cricket and Rugby, under a single body to be called the England Sports Association. Sources close to Mr Hunt revealed that the Government has been troubled by the “dysfunctional behaviour” of the FA, ECB and RFU and has decided that only tighter Government control and a single organisation can solve the problems. Lord Sebastian Coe is being touted as the likely new Sports Supremo once the London 2012 games are over. It is understood that the final straw in the dissatisfaction of the Coalition with the maladministration of English sport came when Dave Richards, a senior figure in English football, fell into a fountain after ranting against Football’s international government bodies. This followed revelations of chaos at the top at the Rugby Football Union and continued rumblings about the England and Wales Cricket Board in the light of the jailing of Allen Stanford. It is believed that Hunt sees that efficiencies can be made by the ESA being formed as a business having one Board of Directors and management team. “Really all sports need the same sense of discretion and the issues they manage are broadly the same” said a spokesman. “There is also great scope for sharing assets – why not play T20 cricket at Wembley or Rugby Union at Old Trafford?”.